Frailty, a condition that affects 10 percent of people aged 65 and older, can make older adults more prone to disability, falls, hospitalization, and a shorter lifespan. In April 2016, research published online in the Journal of the American Geriatrics Society examined the effects of frailty and depression on married couples. 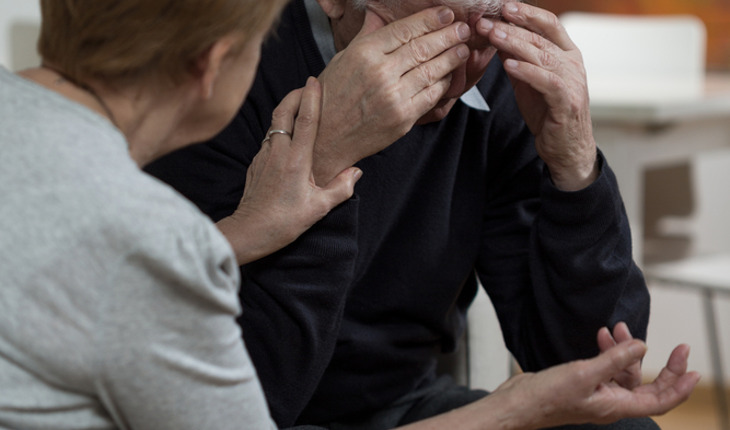 The release explains that although we know much about the effects of frailty and depression on individuals, up until now little has been uncovered about how these two conditions may be connected within couples. The researchers learned that the frailer an older person is, the more likely it is that he or she will become depressed. The more depressed an older person is, the more likely he or she is to become frail. What’s more, the researchers also learned that people married to a frail spouse were likely to become frail themselves, and that people married to a depressed spouse were more likely to become depressed, too. Interestingly, older husbands tended to be more depressed and frail than younger husbands. Older wives were not more depressed, but were frailer than younger wives. These findings are based on a study of data from 1,260 married couples, aged 65 and older, collected during the Cardiovascular Health Study. The researchers concluded that frailty and depression symptoms may be intertwined for spouses, suggesting that senior living facilities might consider ways to increase couples’ engagement in physical activities, social activities, and mutual support.